Our Pallets are made from different plastics. There are many types of plastic resins available for making pallets; the product’s intended use helps determine the ideal resin type to use for manufacturing. We’ll look at how the choice of these materials impacts four key properties. The Flex Modulus measures the strength of an adhesive and the stiffness during the initial steps of stress analysis during a bending process. ASTM D790 is the standard test method for the Flex Modulus. There are two ways to test Flex Modulus, but the main way is the three point bending test. In this method, two supports hold a sample of the plastic, while force is applied on a single point to induce deformation. This property is important when deciding what kind of plastic pallet to use for your product. The higher the flex modulus, the stiffer the pallet. The lower the flex modulus, the more flexible it will be. Melt Flow Index is a measurement of how quickly melted plastic flows through an injection molding screw into a mold that forms the plastic pallet. This test determines the viscosity of each material. The higher the MFI value, the lower the viscosity. So what’s better – a high or low Melt Flow Index? To test the MFI, the injection screw barrel is first preheated to the desired temperature. The operator then loads the sample material into the barrel. Force is then applied to a piston tool to push the material through the heated barrel. When the flow conditions are right, a timed sample is taken (usually at a ten minute interval). Once the sample cools, it is weighed to determine the material’s MFI. So, the amount of the sample that flows in the ten minute window is considered the the MFI value. 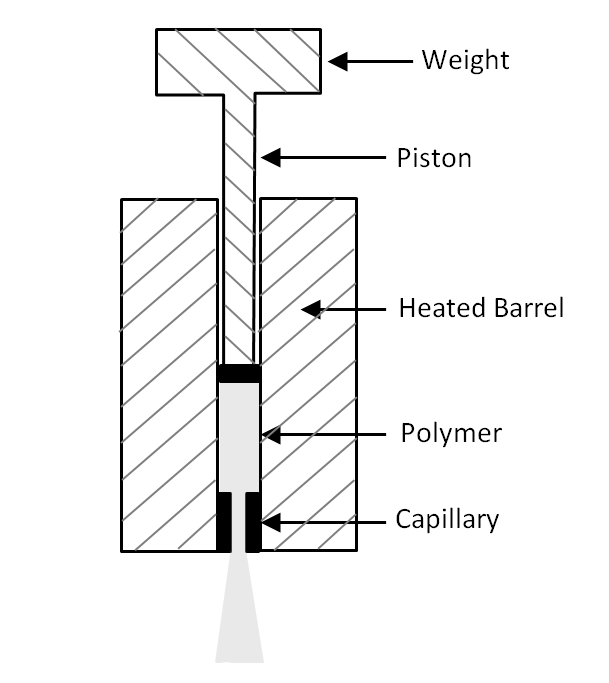 The Specific Gravity of individual materials is measured by the density of the plastic compared to the density of water. Specific Gravity is very important metric in the plastic industry because plastic is sold at a cost per weight basis. This property impacts the price of each plastic significantly. Additionally, Specific Gravity measurements are used in production control. Two sample weights are taken, the first weight is before water immersion and the second weight is taken during distilled water immersion. The Izod Impact is a gauge of the impact resistance and hardness of the material. This tests the hardness, strength and toughness of the plastic. The impact toughness will generally decrease the colder the temperature is. 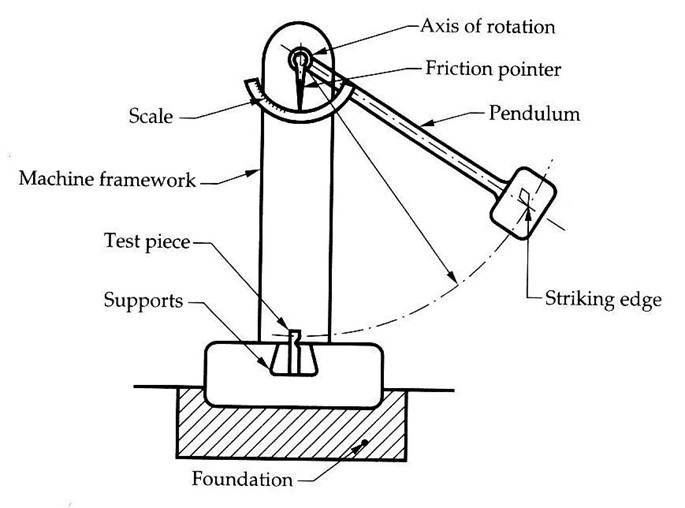 Using an Izod Impact tester, a pivoting arm is released from a specific height to swing down, hitting and breaking the sample material. Afterwards, the energy that is absorbed by the sample is calculated from the height the arms swings to subsequent to hitting the sample. Another property that can impact the characteristics of a plastic pallet is the inclusion of plastic additives. Different additives are used for different purposes; we’ll cover the common additives used in the pallet making process. Colorant is the most common plastic pallet material additive. There are many reasons to add color to plastics, usually for specific products, material handling organization and sorting, or safety reasons. Besides the appearance, adding color does not change any physical characteristics of the plastics. Plastics used in many different industries are strengthened with additives. Additives such as impact modifiers and reinforcements improve the strength and ability of the plastic to absorb impact without breaking and other stressors, even in the harshest environments. Especially in the food and pharmaceutical industries, additives make sure plastics are safe and suitable for handling products controlled by the FDA. Additives make sure the chemicals/medicines being transported do not react with the plastic in the plastic pallets. Additionally, the additives keep food and beverage containers safe for use during transporting and storing. Now we’ll discuss the individual polymers, their specific properties, and how those properties affect plastic pallet characteristics starting. HDPE is an extremely durable petroleum based resin. HDPE’s corrosion and solvent resistance make it very easy to clean. HDPE is used in creating plastic bottles and containers. It’s also used in many household applications like bottles for milk, juice, and cosmetics. Compared to other materials, HDPE is very cost effective for how durable it is, making it a great choice for plastic pallets. What makes HDPE the most widely used material is its low price while still being a strong material. Compared to HDPE, PP pallets are much more rigid, making them able to carry heavier loads. PP also maintains its rigidity in higher temperature environments and has good chemical resistance. This particular resin is found in rigid and flexible packaging as well as large molded parts for automotive products. 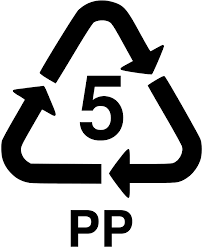 It’s more expensive than HDPE, but is often a better choice for certain products such as food packaging. Combining HDPE & PP allows molders to combine advantages of both polymers while keeping costs at a minimum. LDPE is a resin made from low-density oil and has very low tensile strength compared to HDPE and PP. It also has the ability to withstand temperatures of 80 degrees celsius and is known to be nearly unbreakable. Each material has different properties which lead to different characteristics. The characteristics of the plastics determine which pallet is right for certain products. There is no right or wrong pallet, that’s why will choose the materials for you to provide pallets that are best for your needs and surpass your standards. What type of plastic pallets best suits your needs? What are your opinions on the different pallet materials currently on the market? We’d love to hear from you – please share thoughts in the comments below. Our Plastic Pallet Experts are happy to help you find the right plastic pallet and send you a quote that includes shipping costs. Please contact us to find the perfect pallet at the best price.